Karen Lebsanft, our very own Unsung Hero! Karen Lebsanft was approached earlier this year to be featured in the new book ’50 Unsung Business Heroes Part 2′, featuring inspiring stories of highly successful Australian business owners and CEOs. It was released earlier this month, amidst a lot of excitement. 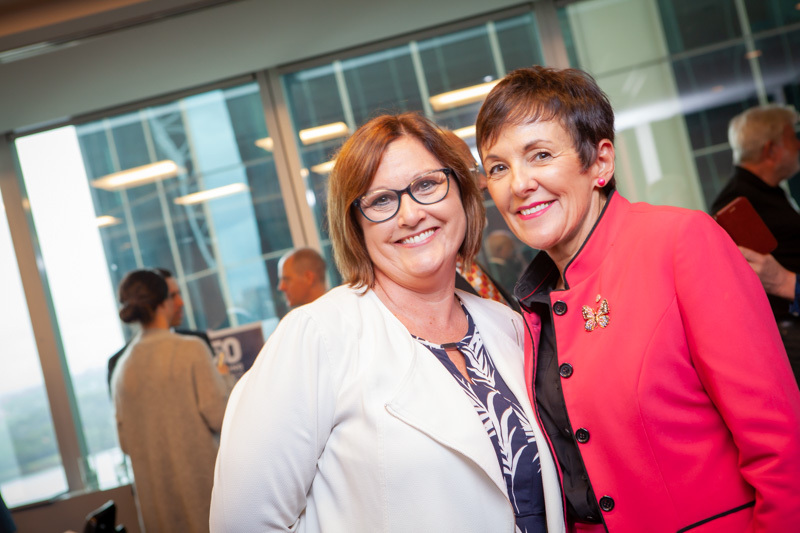 Kate Carnell AO, Ombudsman for Australian Small Business and Family Enterprise, spoke at the event, encouraging small business owners to meet the challenge of living a healthy lifestyle and to celebrate the work they’re achieving as a part of the engine room of the Australian economy. Karen also appears in a moving short film, during which she shares her story with her signature honesty and captivating personality! Even as a child, Karen felt compelled to take on the responsibility for others around her and this had a huge influence on her work ethic, as well as the way she is involved with the community and how she runs her family. And she’s only just realised that she needs to make time for herself. To read Karen’s story and win a copy of ’50 Unsung Business Heroes Part 2′, visit our Facebook and Instagram pages. Congratulations, Karen! From the Kurrajong Kitchen family.